I’m in a funk and I just can’t snap out of it. I’ve been feeling so crestfallen lately and I don’t know why. Like last weekend, it was a perfect day for a walk or a drive somewhere but I was completely content in staying at home. Content in rolling dumplings for supper’s soup. Stuffing wonton wrappers with pork and shrimp and then folding them neatly into dumplings shaped like miniature nun’s hats. I actually didn’t mind the repetitiveness of the task. I loved how my mind wandered aimlessly while I fiddled around the kitchen. I‘m almost certain it’s just the birthday blues. Yes, it was my thirty-eighth the week after New Year’s and, no, I’m not upset about getting older. I don’t normally celebrate birthdays. No big parties. No fanfare. I usually just spend the day quietly with Dennis and Stanford. And with cake, of course. This year, however, things were a little different. A close friend of mine from high school and his partner were visiting family and friends in the U.S. over the Holidays and San Francisco was their last stop before heading back home to Sydney. They convinced another good friend of ours to fly in from Toronto to surprise me for my birthday and, boy oh boy, was I surprised! The last time the three of us were all together was in Manila thirteen years ago so you can just imagine how thrilled I was to spend even just a quick weekend with them. It was an instant, unplanned reunion. A beautiful birthday present. Under the Spring-like sun and over watered down mimosas, we looked back and laughed hard at our foolish adolescence and marveled at the fact that, despite having gone through so many changes, we have remained essentially unchanged. True friends are hard to come by. I don’t want to sound overly dramatic but the friendship we share is the kind that spans time and distance. For us, it has never been about where one has been or what one has accomplished. We’ve stuck it out as friends for so long because of the rich history we share and the genuine support for each other that has never wavered. I sound like a big mush right now, I know. Maybe I just miss them. Maybe I just had the time of my life and wish they were closer. Not thousands of miles and time zones away. Oh my, enough of the nostalgia. I need to shake this off soon. But for now, I’ll drown my sorrows in a bowl of pancit molo [puhn-sit moh-loh] and hope it’ll help cure the unshakable blues. Place all the dumpling ingredients in a large bowl, and use clean hands to mix until well combined. To roll the dumplings like a nun’s hat, place a wonton wrapper on a work surface or on your hand so one corner is facing you. Place 1 teaspoon of the filling on the lower corner. Fold the corner over the mixture and roll the filled part up and over a little past the center. Press on both sides of the filling to enclose it. Brush egg white over the side points and fold the points into the center, one side overlapping the other. Repeat. You should have about 80 dumplings. Place the stock in a large saucepan and add the leeks, salt, pepper, and fish sauce to taste, if using. Bring to a simmer and gently add 24 of the dumplings until cooked, about 5 minutes. Place 4 dumplings in each of 6 serving bowls and cover each with 2 cups of the broth. Freeze the remaining dumplings on cookie sheets until solid, then transfer to an airtight container, where they’ll keep for a month. 1. Substitute green onions for leeks and water chestnuts for jicama. 2. Steam the dumplings in a steamer over high heat until cooked, about 5 minutes. 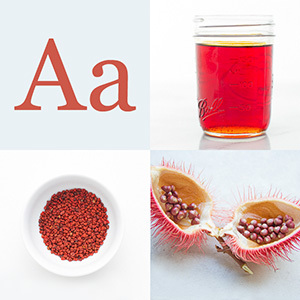 Sprinkle with fish sauce and calamansi and serve dim sum-style. Jun, Happy Birthday. I’m glad to hear that you had an impromptu reunion with your friends. I’m with you re : friends .. and also with how a bowl of molo soup will pick you up when feeling drama-rama like I always do especially lately due ti the grey weather here in STL. I am kind of confused, I always associate Pancit with noodles and since this is a soup recipe with pork dumplings, the name of the recipe seems a misnomer. As always memories are evoked by cooking Filipino food whether its of friends or its of family. Put the dumplings in chicken soup to shake the blues :-). Great recipe and good timing for me too. oh Babs! happy birthday! so glad Kuya Alvin visited you, wishing we other Berks could’ve been there. glad you guys caught up, so nice to have that opportunity. i baked you a cake except i ate it all and…well, i didn’t tell you about it, hehehe. ok that’s a lie, i baked myself a cake. there! love the soup and sorrows are meant to be drowned so you can leave them behind! Happy belated, Jun! Colour me confused by the name of the dish too – how did this come to be called pancit without noodles? Happy Birthday, Jun! This is one of my most favorite soup dishes. It reminds me of my late Mom’s cooking. She always cooked this & I think of her when I am wrapping those dumplings in my kitch. That said, I share in your melancholy…but I rejoiced at the nice surprise party your friends gave you. What an “asalto”! Old friends & good soup dishes are the best, aren’t they? Thanks for another beautiful piece! Happy Birthday, Jun! Or should I say… Happy Beer-day! Your pancit molo looks great as a pulutan, LOL! Again, happy birthday to you, kaibigan! Thank you, Sefie! I know it’s one of those odd things about our cuisine. Pancit molo is the only so-called pancit dish without noodles. It isn’t clear why it was called such. In their book, Amy Besa writes that the dish originated from one of the oldest neighborhoods in Iloilo where there was a heavy population of Chinese. Some people call the dish molo soup instead since it is a soup and not a noodle dish for all intents and purposes. Happy birthday! Your molo soup looks so delicious! Oh what perfect little soldier dumplings you’ve made — so cute! 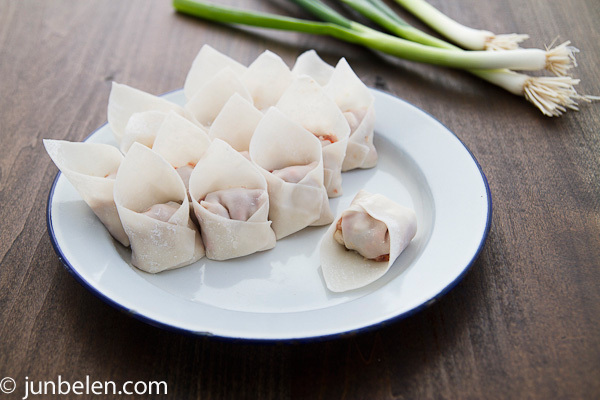 I’m going to try my hand at forming wontons for a batch of fried wontons this weekend. And I know what you mean about best friends. I have a group of girlfriends back home (in S.F.) and whenever we get together, it does seem like our friendship transcends time and place; we always seem to get on right where we left off. It’s a wonderful feeling! And happy happy birthday Jun! Sorry to hear about your ‘blues’. I think you’re lucky to have friendships that have endured regardless of time and distance. It’s rare! Thank you for this recipe- I will make it next week in celebration of Chinese New Year…plus it’s perfect winter food! No overdramaticism there – true friendship is hard to come by _because_ of how it can defy time and distance. What a beautiful surprise for you birthday. Thank you for sharing this recipe and the story behind it, Jun. what? 38 ka na? kala ko magka-age tayo!!! 😀 belated happy birthday! ang sarap! molo soup, ang favorite kong partner ng chicken inasal! yumyumyum! Belated happy birthday, Jun. Glad you had fun with your friends. Your pancit molo looks so comforting. Love it. Love the enamel ware, too. I love this, and so perfect for the weather! So happy you got to spend a weekend with your dearest friends, Jun! Belated Happy Birthday. I thought you were only in your 20’s. Jun, your blog is my go-to for my favorite comfort foods nowadays and tonight, I made Pancit Molo. I had forgotten just how simple and good this is! Thank you. BTW, I substituted napa cabbage because I didn’t have leeks, and added ginger to the soup stock with lots of ground pepper…delish! Oh and a belated HAPPY Birthday! Thank you, Stephane. Congrats on Zenspotting! And, please go ahead and add a link. Thank you so much, Pen! Napa cabbage sounds like a great idea — gives the dumplings a little more crunch. And good call on the ginger. Ninang, I thought so, too. Late twenties, right? Thank you for the birthday greetings! I know, I look like I’m only 28! Ha! Pancit molo plus inasal? Sarap. Both dishes are actually from Bacolod, I think. Happy New Year, Iya!! Thank you, Jonathan! Happy New Year to you!! I know, the dish becomes more satisfying because you’ve worked hard for it!! Using shrimp instead of chicken stock is another good way of making molo. My mom taught me the same way — crush the heads and shrimp shells, saute with garlic and onions and let the flavors steep in water with a little salt. So good! 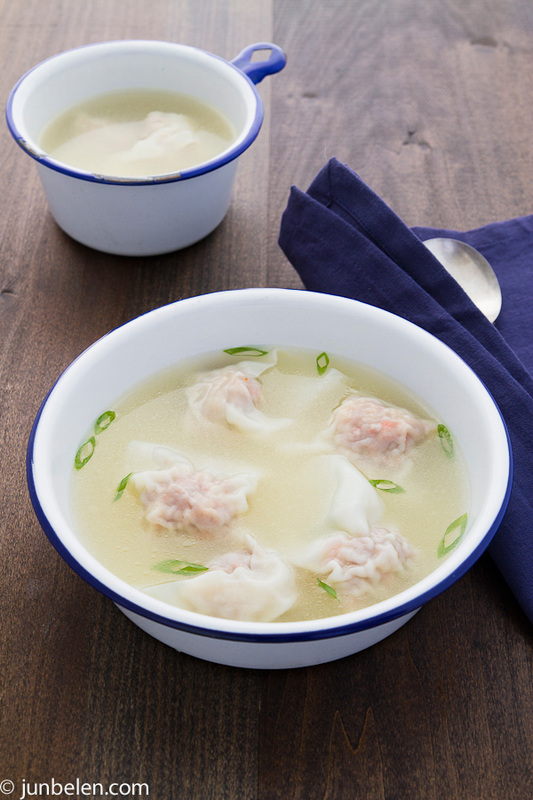 Dumpling soup is an Asian comfort food, including myself! Love the shots, Jun! Beautiful soup. I tried it once before and good think that i found this recipe! Thank you very much sir!